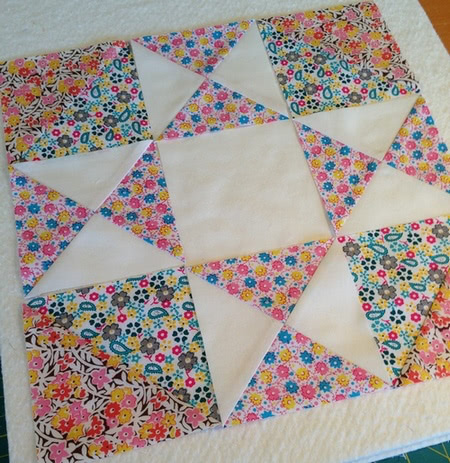 While I’ve been working on the test version of the Aiming for Accuracy quilt, I’ve been taking lots of photos. I thought I would share the progress so far. 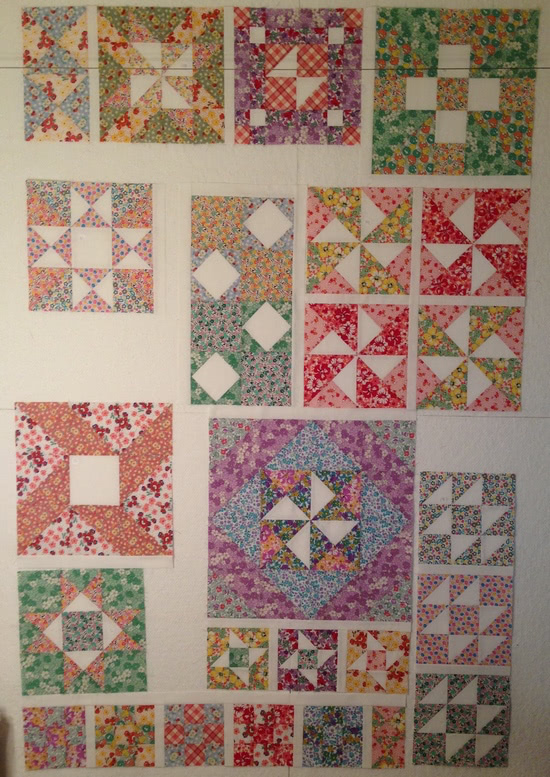 Visit the main Aiming for Accuracy Quilt-Along page for all the info. 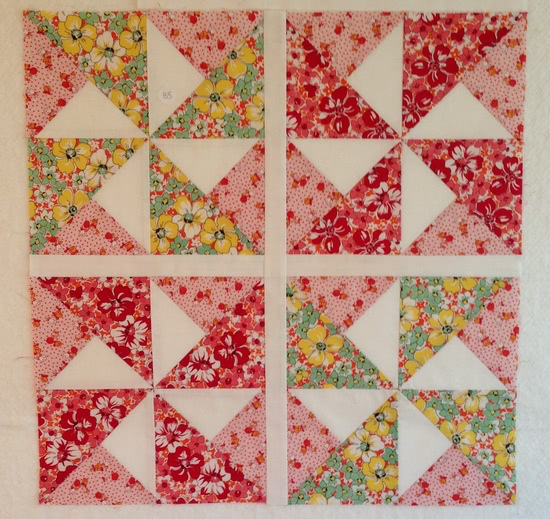 Join us in the Facebook Group and share your fabric photos too. 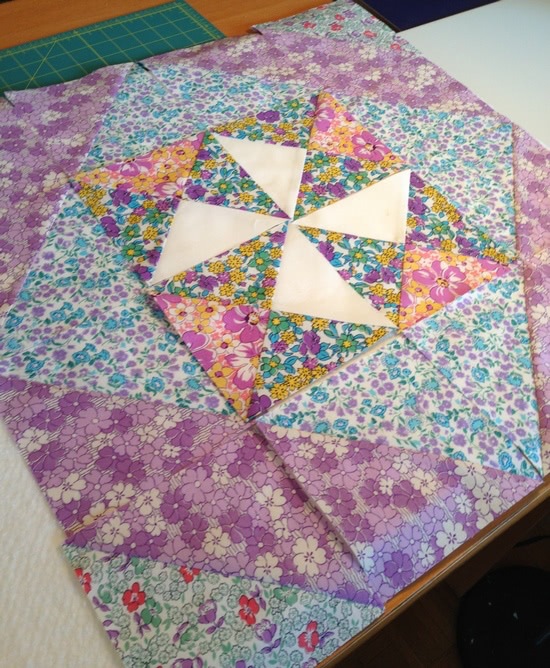 I love the fabric you are using, the quilt is turning out very pretty! 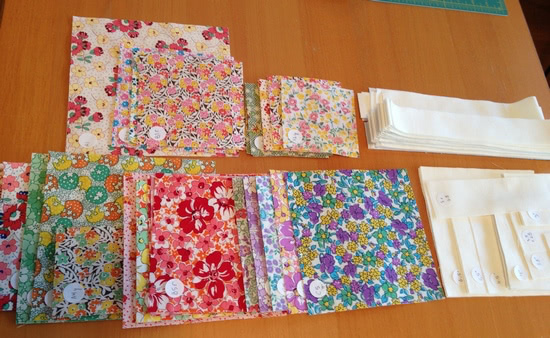 Lovely, I have a big enough stash of 1930’s fabrics, too…. Very,Very tempted….to begin…. 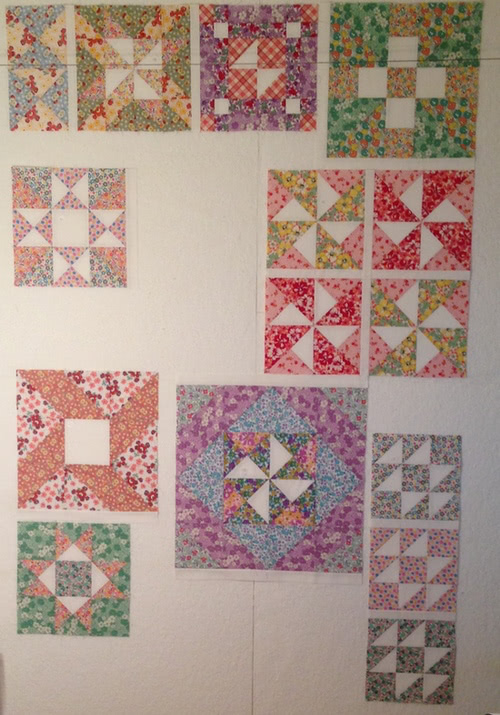 But, so many quilts started now….I think I’ll do a marathon by June 20th and see how many I can get caught up on…. For sure I’ll collect and file your great design … because I like the Puzzel look you created…. How many months (parts/sections) will this BOM take to collect? These colors are absolutely beautiful! Great job!! 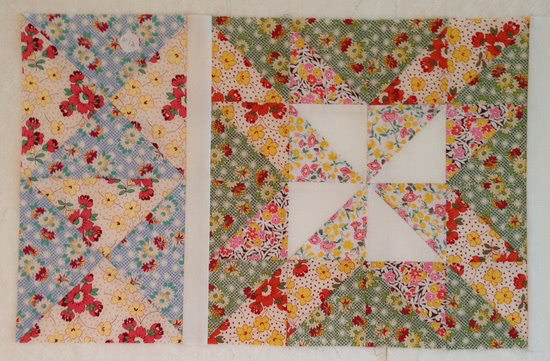 I have a bunch of 30’s fabrics too. Hmmmm . . . I just might have to jump in, but wait! I also have tons of B&W maybe that would look fantastic . . . uh oh, thank goodness I have a couple of weeks to make up my mind. Love it with the 30’s fabrics!